ROSS, ALEXANDER MILTON, physician, abolitionist, author, naturalist, and reformer; b. 13 Dec. 1832 in Belleville, Upper Canada, son of William Ross and Frederika Grant; m. 1857 Hester E. Harrington, and they had five children, of whom two daughters and a son survived infancy; d. 27 Oct. 1897 in Detroit. Alexander Milton Ross is an enigmatic 19th-century subject in that he was a man of diverse interests and accomplishments. In part his enigmatic quality may stem from the very bulk of these accomplishments and the fact that most of what is known about him seems to have come from his own accounts of his career, which are ample in volume but peculiarly unspecific. Some of the mystery will remain until more documentation is found to substantiate his assertions, particularly with respect to his early activities as an abolitionist in the United States and his travels as a naturalist in Canada. There is, however, sufficient material for the last quarter of his life, during which he organized opposition to compulsory smallpox vaccination and strove for improvement in sanitation and hygiene. A man of remarkable energy and intense dedication in his advocacy of the causes with which he aligned himself, Ross was basically an idealist and he manifested his idealism in radical, anti-establishment activity and in vigorous, often polemical writing. As his Memoirs of a reformer, 1832–1892 (Toronto, 1893) indicates, he thought of himself as a man of liberal cast, and yet at times his views could be curiously conservative. Memoirs also suggests that he had an ego to match his large physique, for that volume, like his other writings, is replete with praise of his attainments from famous persons of the age. Biographical articles by others present amazing enumerations of honours he received. Ross was born into a family with a tradition of public activity. 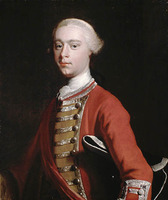 His lineage on his father’s side included Scottish nobility and his great-grandfather was a captain in General James Wolfe*’s army in the battle for Quebec; his grandmother claimed descendancy from the New England clergyman and writer Roger Williams. Apparently Ross’s maternal grandmother, Mary Jenckes, was a daughter of Joseph Jenckes, governor of Rhode Island from 1727 to 1732. However, Ross must have been much more immediately influenced by his mother, to whom he attributed his “love of nature, and love of freedom.” His father’s death when Ross was 11 compelled him to become independent early in life. 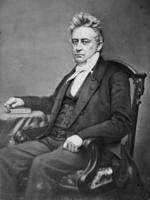 According to his own accounts, he went to New York in his 17th year and sought out Marshall Spring Bidwell*, a lawyer and one-time politician in Upper Canada. Bidwell introduced him to William Cullen Bryant, who gave Ross employment in the printing-office of his paper, the Evening Post. The work became secondary to young Ross’s main interests, the study of medicine and the abolition of slavery. 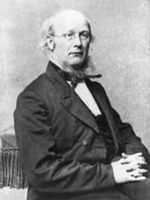 The former pursuit he undertook from 1851 to 1855, studying under Valentine Mott at the College of Physicians and Surgeons in New York and with Russell Thacher Trall, a hydrotherapist. Upon completing his medical studies, Ross became active in the abolition movement, a cause he pursued with great vigour until after the American Civil War. During those years he ranged through the United States and Canada on behalf of the cause, until he settled in Toronto in 1865. In his wanderings through the southern states, posing as an ornithologist, he held secret meetings with slaves to whom he gave information and supplies to enable them to find their way to Canada. The tale of his adventures, and of meetings with many noted abolitionists, among them John Brown, is told in two books, Recollections and experiences of an abolitionist, from 1855 to 1865 (Toronto, 1875) and his Memoirs. They also tell of his acquaintanceship with such famous people as Abraham Lincoln, for whom he acted as a secret agent to uncover Confederate activities in Canada; Giuseppe Garibaldi, the Italian liberator; Horace Greeley*, the journalist and presidential candidate to whom Bidwell had introduced him; William Lloyd Garrison, a leader of the abolition movement and editor of the Liberator; Ralph Waldo Emerson; Henry Wadsworth Longfellow; and John Greenleaf Whittier, the Quaker poet and abolitionist. Ross’s accounts of meetings with such people reflect a spirit of warm friendship and close familiarity, and most include quoted fragments of conversation between the principals. Other evidence lends some credence to Ross’s recollections. Letters by William Henry Seward, Lincoln’s secretary of state, support Ross’s claim to have served the interests of the North in Canada during 1864, though not in any official capacity. His activities and behaviour were not, however, always agreeable to American officials. For his part, Ross was impatient with the course of emancipation. In letters to abolitionist Wendell Phillips he observed that Lincoln was “slow in a good cause” and that he showed too much tenderness toward rebellious men. He considered Seward a malleable man interested only in power. Correspondence with other notable Americans has also survived. Entries in Emerson’s journal for 1875 and letters to him from Ross during the 1870s record exchanges of books, expressions of mutual admiration, and plans to visit Emerson in October 1875, although these plans apparently were never carried through. That same year Ross was in touch with Garrison concerning some of the observations in Recollections about John Brown’s chastisement of non-violent northern abolitionists such as Garrison. Ross’s chief interest, however, was the collection and classification of Canadian flora and fauna. Once again the extent of his travels in quest of his information is unknown, but the evidence of his activity is specific. His principal publications were The birds of Canada: with descriptions of their habits, food, song, nests, eggs, time of arrival and departure (Toronto, 1871) and a companion volume, The butterflies and moths of Canada: with descriptions of their color, size, and habits, and the food and metamorphosis of their larvae (Toronto, 1873). Both are illustrated with pencil sketches. The first book identifies birds found in the eastern provinces, although there are occasional references to birds in Manitoba and British Columbia (appendices list birds of these two provinces not dealt with in the body of the book). Nevertheless, much of the information seems to have been gathered in Ontario, and Toronto and Ottawa are often mentioned specifically. Indeed, both books seem to be based on specimens in Ross’s own collection and they offer relatively untechnical descriptions. Similar volumes were planned for the ferns and wild flowers of Canada, but they do not appear to have been published. Ross did, however, produce numerous catalogues of other flora and fauna he had collected chiefly in the Toronto area; these provide nothing by way of description and would be useful only to the expert. Ross hoped that his volumes would assist those interested in the subjects as well as farmers and educators. He sent copies of Birds to notable professors of botany and natural sciences such as John William Dawson, John Macoun*, and Nathan Fellowes Dupuis*, from all of whom he received commendation concerning the utility of his book; their approval was reinforced by the press, which acknowledged the popularity and general usefulness of Ross’s work. It is somewhat curious, however, that Ross’s activity as an amateur biologist has been seldom acknowledged in the 20th century. Perhaps the explanation is that his work does not fit comfortably into either of the categories to which it might appear to belong. Being the product of an amateur, it does not seem to possess the accuracy of scientific study, nor is it redeemed by literary qualities that would permit its acceptance into the realm of the natural history essay, as have been the writings of another amateur, Catherine Parr Traill [Strickland]. The publication of all of Ross’s known works of natural history in the 1870s suggests that he must have been collecting specimens well before that decade and, indeed, he may have been writing about them as well. By 1872 he was well enough known as an author to be elected a member of the Royal Society of Literature of the United Kingdom. In 1874 he was elected a fellow of the Linnean Society of London, but he withdrew in 1880, possibly because of the fees necessary to maintain such fellowships. But in 1872 he was also elected to the British Association for the Advancement of Science, and he remained a fellow of that body until his death. On the title page of Birds he claimed membership in the Royal Linnean Society of Belgium and entomological societies in England, Belgium, the United States, and Canada. To this list he added Russia and France on the title page of Butterflies and moths. By the 1880s he was claiming membership as well in scientific societies in Austria, Italy, Denmark, Greece, Germany, Switzerland, Bohemia, and Württemberg, and knighthoods and other honours from almost all the royal heads of European and even middle-eastern states in acknowledgement of his work and collections of specimens sent to museums in those states. An evaluation based only on Ross’s written work makes it difficult to credit the extent of the memberships and honours that he lists. In any case, he seemingly had exhausted his naturalist interests by the 1880s and turned his attention to medical and social matters. 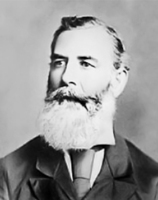 In Memorial of fifty years in the life of Alexander Milton Ross, 1832–1882, which Ross published on the occasion of his 50th birthday for his children, he observed that the period of his life from 1875 to 1882 was devoted to his crusade for moral and physical reform. He formed the Canadian Society for the Diffusion of Physiological Knowledge in 1880 and published a tract entitled The evils arising from unphysiological habits in youth (presumably masturbation), for which he received support and encouragement from clergymen and others, many of whom requested copies for distribution. Ross apparently had not become a practising physician until 1875, when he was licensed by the College of Physicians and Surgeons of Ontario. On 1 June 1882 he was registered by the College of Physicians and Surgeons of Manitoba, but it is not known whether he ever practised there. He recorded that he was licensed too in Quebec and, although this claim cannot be verified by its college, the extent of Ross’s activity in the province would suggest that he was. Drawn to Montreal by an outbreak of smallpox in the early 1880s, Ross joined the campaign against compulsory vaccination. He entered the fray with characteristic zeal, by corresponding with and enlisting the support of like-minded persons, many doctors among them, in Europe and North America. Beginning in 1883 he published anti-vaccination tracts and contributed articles to Montreal newspapers. He orchestrated the formation of the Canadian Anti-Vaccination League (also called the Canadian Anti-Compulsory Vaccination League) on 29 Dec. 1885, in which year the city had experienced its worst epidemic of smallpox (more than 3,000 people died, most of them children) [see Édouard-Charles Fabre; Alphonse-Barnabé Larocque de Rochbrune]. Ross became the league’s president and several Quebec doctors, including Joseph Emery-Coderre*, whom Ross much admired, were also members. The league successfully challenged in the courts the imposition of compulsory vaccination. Ross and his associates first of all did not believe that vaccination prevented smallpox. Ross’s arguments underscored the serious divisions among doctors over the prophylactic value of the bovine vaccine then used on humans; indeed, the uneven quality of the vaccine at this time, combined with other problems of immunization technology, rendered vaccination a risky and unpredictable operation. In Ross’s view the serum used was a poison that often resulted in bad cases of smallpox as well as other diseases. But, in addition, Ross and the league considered compulsory vaccination an abuse of human rights and a “physical crime” that “tramples down parental authority in relation to children.” The anti-vaccinator was as much the opponent of despotism and the advocate of “Liberty over Slavery” as the abolitionist. In tracts and articles on vaccination, Ross indicted in emotional rhetoric both the medical profession and the province; he must have been anathema to many of his colleagues for accusing them of having a vested interest in their support of vaccination. In some of his medical goals, however, he was ahead of his time. For example, he emphasized prevention instead of cure by crusading for an efficient municipal sanitation system and a supply of pure water, and for public education concerning personal and domestic cleanliness and healthful diet as proper means to prevent smallpox and other diseases. He was ever the proponent of the individual’s right to control of his or her own body and it was the threat to this right that most incensed him. Probably the most suitable designation for Ross is that of a 19th-century crusader for individual freedom. That designation was given by more than one admirer, especially with respect to his efforts on behalf of blacks. Emerson, for example, called him “My brave Canadian knight.” The evidence for the appropriateness of the commendation resides principally in Ross’s accounts of his adventures, in his impassioned published statements on human freedom, and in the tributes he received from famous men and women. These tributes constitute an important part of his books and of all contemporary biographical accounts of him. But there is something unsettling about his apparent need to disseminate such tributes so widely. It is not at all certain that they were obtained through personal knowledge of Ross by those famous persons. Some seem to have been generated by the publication of his Recollections. One biographer, Judson Newman Smith, notes that, on the advice of his mother, Ross had sought the friendship of people who would be helpful in a moral and intellectual sense. This he did through correspondence, but whether he actually encountered all those persons he claimed to have met is not confirmed. In the Memoirs, for instance, he leads the reader to understand that he had met Wendell Phillips and W. L. Garrison, among others, but nothing in his correspondence with these men sustains that impression. On the basis of available information one might conclude that Ross effectively promoted his own activities in the three major concerns of his life: abolition, natural history, and the struggle against vaccination. No doubt he had a passionate commitment to each, but the exceedingly important achievements which the accolades suggest are not, at this time, borne out by enough authenticating, objective evidence. Alexander Milton Ross’s 1865 letters to the editor of the Irish Canadian (Toronto) appeared in Toronto the same year in pamphlet form as Letters on Canadian independence. His tract The evils arising from unphysiological habits in youth was probably published in Montreal during the 1880s. A brief exposition of spiritism and what spiritists believe was also issued in Montreal, some time between 1878 and 1887, and Memorial of fifty years was likely published there in 1882. A listing of Ross’s other publications, including his numerous catalogues of local flora and fauna as well as treatises on various medical and social questions, appears in Canadiana, 1867–1900. A record of his anti-vaccination activities is found in three scrapbooks entitled “The fight against compulsory vaccination,” located in the UTFL. The scrapbooks, probably compiled by Ross himself, contain newspaper clippings, copies of tracts published by Ross and the Canadian Anti-Compulsory Vaccination League, poems of tribute, and many letters of support from sympathizers in Britain, France, Germany, and the United States, as well as in Canada. Boston Public Library, W. L. Garrison corr., Ross to Garrison, 21 Aug. 1875. British Library (London), Add. mss 44518: f.163 (Gladstone papers). College of Physicians and Surgeons of Manitoba (Winnipeg), Record of registration, 1882. College of Physicians and Surgeons of Ontario (Toronto), Record of license, 1875. Harvard College Library, Houghton Library (Cambridge, Mass. ), ms Am 1280 (2799) (Ross–Emerson corr. ); ms Am 1953 (1066) (Ross–Phillips corr.). Linnean Soc. of London, Records of fellows, 1874–80. NA, MG 29, D61: 7175–82. Yale Univ. Library, Beineicke Rare Book and ms Library (New Haven, Conn.), R. W. Emerson to Ross, 1875. British Assoc. for the Advancement of Science, Report of the annual meeting (London), 1874, 1884, 1897. R. W. Emerson, The journals and miscellaneous notebooks of Ralph Waldo Emerson, ed. W. L. Gilman et al. (16v., Cambridge, Mass., 1960–82), 16: 306; The letters of Ralph Waldo Emerson, ed. R. L. Rusk (6v., New York, 1939), 6: 274, 281. W. L. Garrison, The letters of William Lloyd Garrison, ed. W. M. Merrill and Louis Ruchames (6v., Cambridge, 1971–81), 6: 385–87. Royal Soc. of Literature of the United Kingdom, Report (London), 1872. Montreal Herald and Daily Commercial Gazette, 27 Nov., 30 Dec. 1885. Cyclopædia of Canadian biog. (Rose and Charlesworth), vol.2. Prominent men of Canada . . . , ed. G. M. Adam (Toronto, 1892). J. N. Smith, A brief sketch of the life and labours of Alexander Milton Ross, philanthropist and scientist (Toronto, 1892). R. W. Winks, The blacks in Canada: a history (London and New Haven, 1971), 232–34; Canada and the United States: the Civil War years (Baltimore, Md., 1960), 260–61. Carl Ballstadt, “ROSS, ALEXANDER MILTON,” in Dictionary of Canadian Biography, vol. 12, University of Toronto/Université Laval, 2003–, accessed April 20, 2019, http://www.biographi.ca/en/bio/ross_alexander_milton_12E.html.